Rebel against white plastic conventional switches with this ultra-slick matt black triple rocker switch. 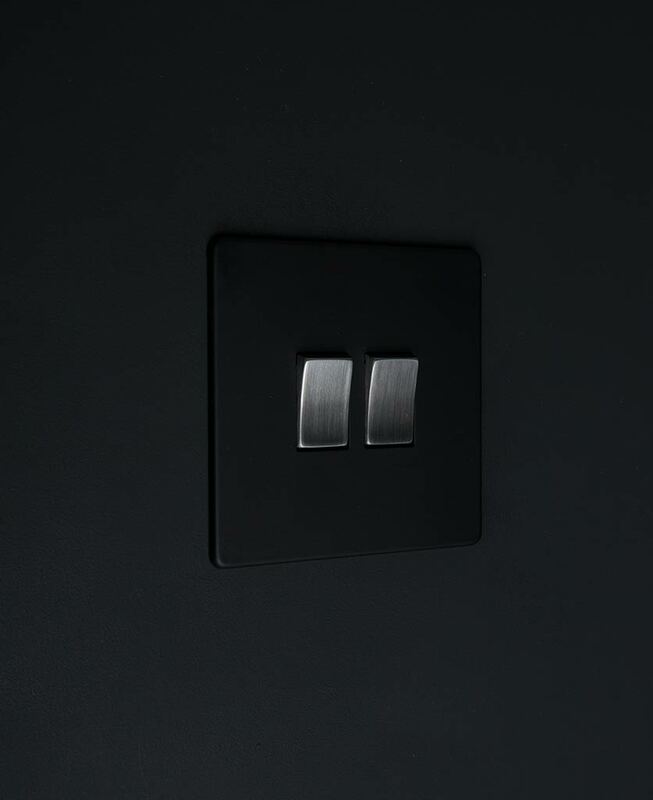 With a satin black coated steel plate this switch is contemporary, sleek and neat. The perfect choice for adding a touch of drama to your interiors. If you’re looking for something a little bit different to those chunky white plastic switches, look no more. 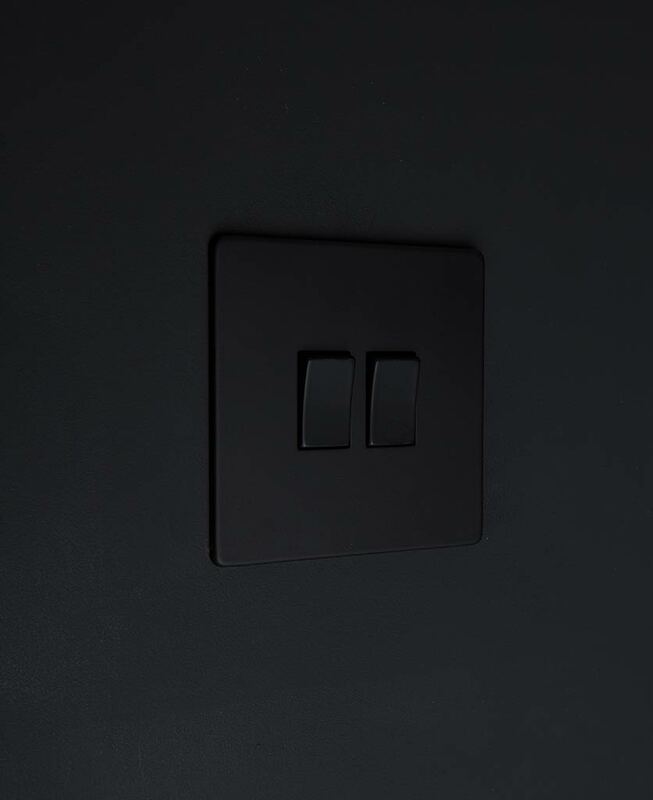 Our black rocker switch has everything you need to add style and sophistication to your interiors; an uber neat finish, matt black coated steel plate and super tactile rocker switch detail. 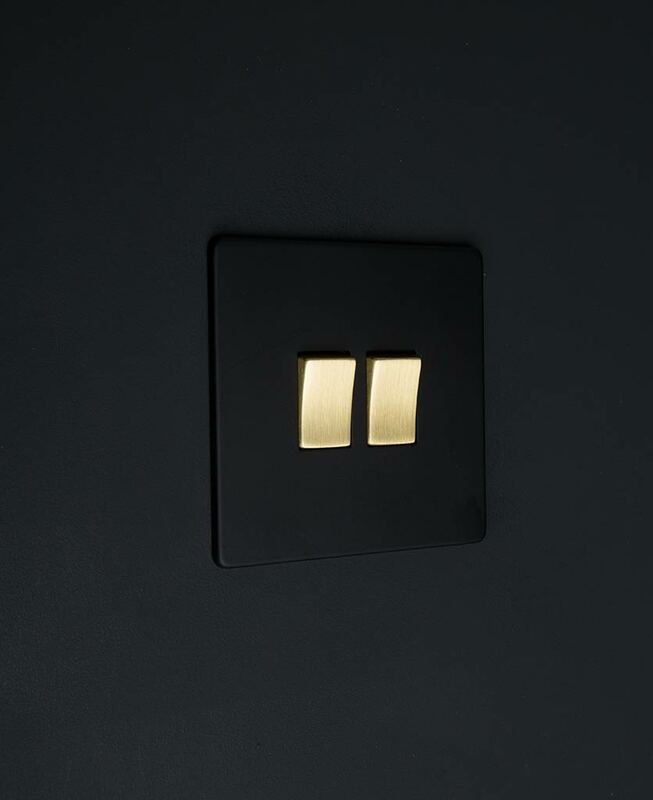 We love this black switch as a statement against matt white walls, where its slick designer vibe can really be appreciated. For maximum impact mix and match with our exclusively created black switches and sockets collection. A stunning range that has everything you need to finish off your interiors. Choose from dimmers, toggles, sockets and appliance switches to name but a few.